The Marine Corps’ top aviation commanders have been asked to look at what might be causing fatal aviation accidents, such as the recent crash of two CH-53E helicopters off the coast of Hawaii that killed 12 Marines, Commandant Gen. Robert Neller told Marine Corps Times. Neller said that he has discussed the matter with Lt. Gen. Jon Davis, the Marine Corps’ deputy commandant for aviation, who has asked Marine air wing commanders across the service to “take half a day and talk about what’s going in” in the wake of the deadly helicopter crash. “We have got to ask the wing commanders, ‘Are there things that we’re not doing? What’s going on? Why are we having the things that are happening? Is it the tempo; is it other things?’” Neller said. Davis has regular conversations with Marine aircraft wing commanders about aviation safety and readiness said his spokeswoman Capt. Sarah Burns. “We are always striving to be better, and Lt. Gen. Davis makes it clear not just to the MAW commanders, but to the entire Marine Corps aviation community that current and future readiness are two of his top priorities,” Burns said in an email Wednesday to Marine Corps Times. Based on past experiences, the investigation into the crash off Oahu is expected to take a few months, Burns said. “We know no incident is the same, and we investigate each event to determine the lessons learned to prevent tragedies like this from happening in the future,” she said. In September, Marine aviation deaths hit a five-year high following a CH-53E Super Stallion crash near Camp Lejeune, North Carolina, which killed one Marine and injured 11 others. All told, 18 Marines were killed between May 2014 and September in 13 separate aviation incidents. In a fragmentary order issued on Tuesday, Neller wrote that the Marine Corps will continue to repair and replace worn equipment, with an emphasis on aircraft. The service has already replaced the CH-46 Sea Knight helicopter with the MV-22 Osprey and it is in the “developmental stages” of replacing the CH-53E with the new CH-53K heavy-lift helicopter, Neller said. It will take time to transition to newer planes and helicopters, he said. Until then the Marine Corps will make sure older aircraft get the depot maintenance and it will take other measures so that it can continue to operate with its older aircraft. Until upgrades to new aircraft are complete, then the Marine Corps will make sure older models get the depot maintenance they need and make sure it has enough parts for old and new aircraft. 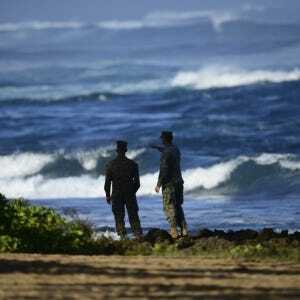 The most recent crash occurred late in the evening Hawaii time on Jan. 14. The Coast Guard suspended its search on Tuesday after not finding any survivors. A debris field has been located about two miles offshore in roughly 325 feet of water, a Coast Guard commander said on Tuesday. Initially, the Marine Corps was hopeful that rescuers would find survivors from the two helicopters, said Neller, who thanked the Coast Guard, first responders and others who helped with the search efforts.